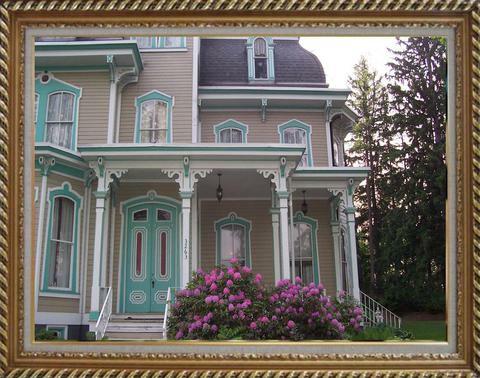 Host your very own Bridal or Baby shower at the Beautiful Hegarty Mansion. 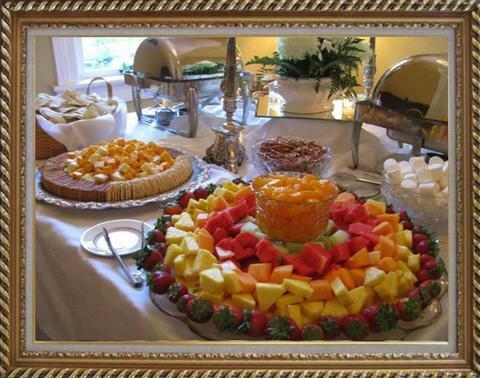 We provide the gathering place, a tour of the Hegarty Mansion and a light buffet luncheon for your guests. 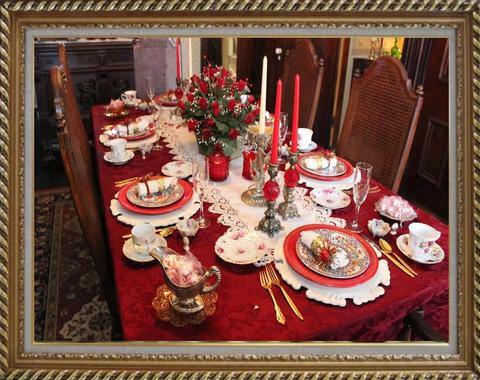 You will have 4 hours to enjoy lunch with your friends, open presents, tour the Hegarty Mansion, relax and mingle with your guests. We can accomodate 10 guests in our dining room and up to an additional 8 guests in an adjacent room. Your guests can mingle and move between the three rooms on the first floor. An additional 10 guests can be seated on the second and third floors. The Hegarty Mansion will provide a visually Beautiful Buffet consisting of Antique linen, Tiered servers and Antique dinner-wear. 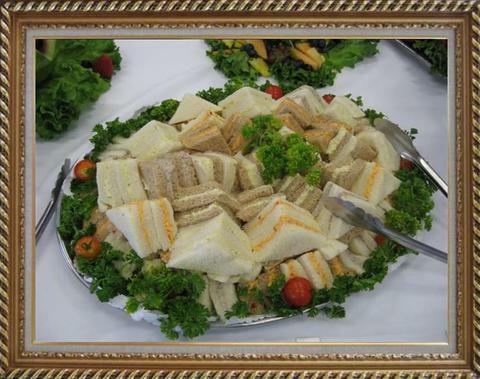 A Delicious assortment of finger sandwiches, cold mixed Salads, Meat & Cheese Tray, Vegetable Tray, Crackers & Dips, Cup Cakes & Muffins and a wonderful choice of Sweet Dessert selections will be waiting for you and your guests. Both cold and hot beverages will also be offered. 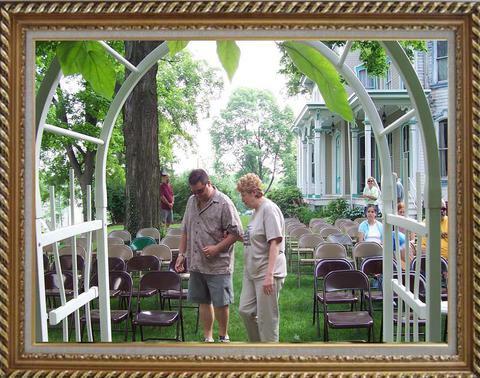 The staff at the Hegarty Mansion will have everything ready for your arrival. 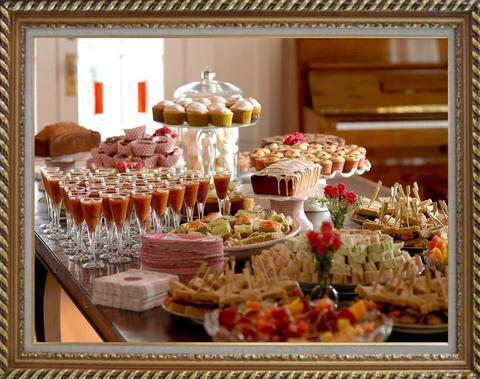 They will set up, prepare and serve lunch to your and your guests and clean up after the event. A total of 18 guests (additional guests will add additional costs) The 4 hour rental is available for a flat fee of $495.00 each additional guests will be $18.00 each. You provide Food, Drink, Tableware, Set up and Clean up. You will be provided use of the kitchen, electric outlets to keep warm dishes heated, microwave if needed (no stove cooking). You will be responsible for cleaning up food areas and any accessories provided to you by the Hegarty Mansion. All paper or plastic dishware, present wrappings must be bagged and ready for removal. Note: Set up and clean up time is included in the (four hour) rental time. Please no early set up arrivals or late clean up. The 4 hour rental is available for a flat fee of $375.00 each additional guests will be $8.00 each. A three week notice is required and Payment is due at time of booking. Dates are booked from January 1st to July 1st. Adults only please, sixteen and above. A 40% Cancellation fee is charged for cancelling a booking date.